It has been a wonderful first few weeks at Iniva as the new Library and Archive Manager of the Stuart Hall Library. Arriving on my first day, I was welcomed by a weeklong introduction schedule of informal meetings with the Iniva team and UAL Chelsea College of Arts library and campus. I am thankful to the previous Library Manager, Stephanie Moran for her comprehensive handover notes and suggested reading list. It is not very often that a librarian actually gets time to read from the collection that they curate, so I am taking the time, whilst the new library space is refurbished, to get stuck in. Coming from a large institution that is the British Museum, I was surprised to read how themes of postcolonial, cultural diasporas and geo-political issues of globalization are reoccurring in museums and public galleries collections. The first book I read, The Complicities of Culture: Hybridity and ‘New Internationalism’ by Nikos Papastergiadis presented enduring questions on “what is the role of a curator?” and “how does curatorial practices contribute to our knowledge of the world?”. This publication highlighted the need to move away from the Euro-American view on the definition of modernism that underpins nationalist art discourse. 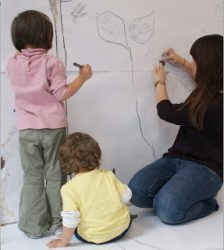 It further explains the necessity of the concept of Iniva‘s creation in 1994 and its support for cultural diversity in the visual arts, which is still present in its mission today. Javaka Steptoe, ‘Radiant Child: The Story of Young Artist Jean-Michel Basquiat’. Photo credit: Goodbooks. David A. Bailey’s Exhibition Histories talk at Whitechapel gave me the opportunity to read my second book, Mirage: Enigmas of Race, Difference and Desire, published to coincide with the exhibition in 1995 at the Institute of Contemporary Arts, London. Inspired by the writing of Frantz Fanon’s Black Skin, White Masks (1986), this publication presents core themes of anti-colonialism, psychoanalysis, philosophy and critical race theory. 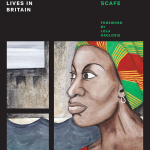 It is great example of publication central to Iniva’s work in documenting research into the relationship between contemporary visual arts and issues of cultural identity. Have you got a copy? If not, grab a copy while stocks last. As Asian Art London is about to begin in November, I am reminded of Iniva’s work with Asian artists such as contemporary Chinese artists Li Yuan-chia, Jia Aili and Lu Chunsheng. 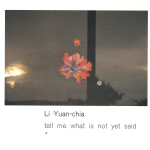 The fully-illustrated monograph ‘Li Yuan-chia: tell me what is not yet said’ was published by Iniva in 2001 on occasion of the major exhibition held at Camden Arts Centre (London), Abbot Hall Art Gallery and Museum (Kendal) and Palias des Beaux-Arts (Brussels). It details the life and work of Li and the creation of LYC Museum. In Conversation with artist Ada Xiaoyu Hao (2018) discusses Hao’s submission proposal for Duties of Self-Care: The Mask of Sanity. Performance theorist Rustom Bharucha lecture Performing Asia: The Affective affinities of Rabindranath Tagore and Okakura Tenshin (2014) details a unique research project into the friendship between the Indian poet Rabindranath Tagore and Japanese curator Okakura Tenshin. 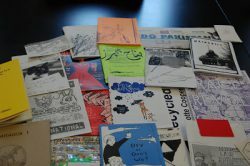 Jia Aili and Lu Chunsheng: Counterpoints (2010) project showcases the new work of New work by contemporary Chinese artists, interviews with the artist and a selected bibliography of materials in the Stuart Hall Library. One of the first books I would recommend for the Stuart Hall Library collection came about when I visited the Kerry James Marshall: History of Painting exhibition at David Zwirner. I was captivated by the large-scale canvas Untitled (Underpainting) (2018), which features black figures of schoolchildren and visitors populating a salon-style museum looking intently at artworks. As Marshall intended, the painting made me question the presence of black people in how the history of art is told. This exhibition continues until 10 November 2018 but I await the publication of the illustrated catalogue (forthcoming) to know more about Marshall’s work and his progress to examining the origins of paintings as a practice. 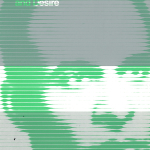 Are you able to help donate a copy to the Stuart Hall Library? Take a look at our wish list to find out more about our most wanted books. As Iniva is committed to delivering an innovative and inspiring education programme for children and young people, the Stuart Hall Library is developing a section for diverse children’s books. 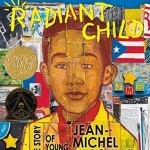 A new book on my radar that would be a welcome addition to the library is, ‘Radiant Child: The Story of Young Artist Jean-Michel Basquiat’ by award-winning illustrator Javaka Steptoe. This vibrantly coloured picture book details the biography of the modern art phenomenon Jean-Michel Basquiat as a little boy in Brooklyn who dreams to become a famous artist. Tweet #StuartHallLibrary with your suggestions of diverse children books that you would like to see in the collection because #RepresentationMatters. In true tsundoku style, the newest book in my personal library (every librarian’s must have) but I have yet to read is ‘Heart Of The Race: Black Women’s Lives in Britain’. First published in 1985, the re-publication of this feminist classic was brought to my attention at a talk and workshop with research-led artist collective Thick/er Black Lines held at Tate Modern. It promises to be a powerful corrective to a version of Britain’s history from which black women have long been excluded. The one book that has however been a pleasure read on the train ride down to Pimlico Station and I cannot put down is A. A. Dhand’s Streets of Darkness (2016). Set in the middle of Bradford, Detective Harry (Hardeep) Virdee operates in the shadows in search for the ex-convict and murder suspect Lucas Dwight but must deal with his own preconceptions on the other side of the law to restore his reputation. 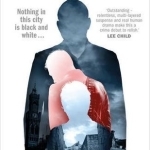 So far, it is a brilliantly descriptive crime novel that explores diversity, multi-culturalism and interfaith marriages without feeding into stereotypes. It is refreshing to read about an Asian lead character and Dhand beautifully introduces and details the complexities of Harry’s British identity and Asian Sikh heritage alongside the relationship with his Muslim wife Saima. It provides me with a timely introduction into the facets of identity to be discussed at Iniva’s next Research Network. Dana Olărescu and Bojana Janković of performance company There There will present their practice through the prism of immigrant identities in conversation with curator Lina Džuverović on November 29. Get your tickets now!